Prodigy 6000 Vinyl Siding is one of the most energy-efficient, durable products we offer. Not only will it upgrade your home’s curb appeal, but it can also minimize consumption and lower your monthly energy costs. Prodigy Vinyl Siding is engineered with 1-½ inches of insulation beneath a sturdy vinyl surface to maximize breathability and perform flawlessly in all weather conditions. Learn more about our 6000 series vinyl siding today! 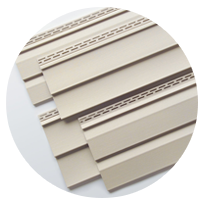 Our 4000 Series Siding is designed for convenience and durability. 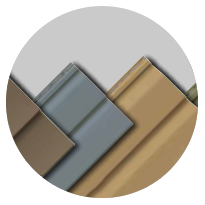 Featuring both Coventry and Odyssey collections, 4000 Series Vinyl Siding from Window World of DC comes complete with extensive color options, natural cedar grain texture and optimum panel thickness to offer DC homeowners a flawless exterior look and feel. 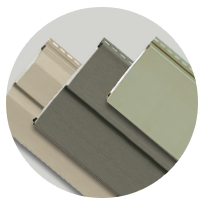 Click here to learn more about our 4000 Series Vinyl Siding. Our 2000 Series Vinyl Siding from Conquest gives you the most for your money. You get classic appearance, easy care, and multiple color options – all at a price that doesn’t break the bank. This siding style is founded upon practicality, so click here to learn more and make the right decision for your home.